May | 2015 | Whose Education Is It Anyway? 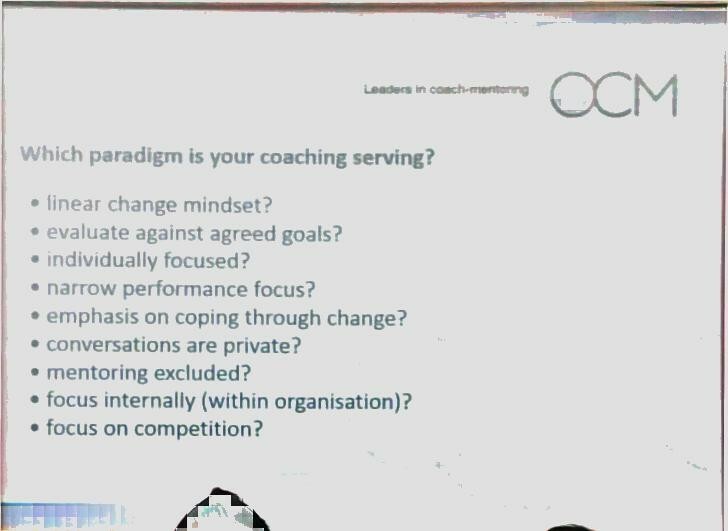 The opening session I attended at this year’s free exhibition considered how coaching can ‘stay ahead of the curve’. This was quite an appropriate start to a day where my overwhelming feeling, from most of the sessions I attended and conversations I had around them, went something like “yes, obviously” and “we’ve been saying this for years”. If there was a trend or buzz phrase it seemed to be VUCA; one session I attended specifically had VUCA in the title but at least two others referenced. However, search online for VUCA and a HBR article shows it was a business buzz term in January 2014, yep, over a year ago. Whilst it might be excusable to use such a term in formulations based on on ongoing research, such as Toward Maturity’s ‘a kaleidoscope of change’, it felt a little old hat (to me) for exhibition sessions. This felt especially so when that coaching session started the day with the need for keeping ahead of the curve metaphor. Towards Maturity’s L&D Evolving Roles, Enhancing Skills report highlighted some good practice in this area, including PwC’s internal L&D team that has “a dedicated research arm, so they can continually scan the horizon for new developments”. However, I tend to look at this things from the learning industry perspective (rather than just L&D) and being aware of the latest trends was very much part of my learning tech and instructional design team’s remit back in c.2010. Again, when it comes to workplace “L&D” something seems to act as a log jam. 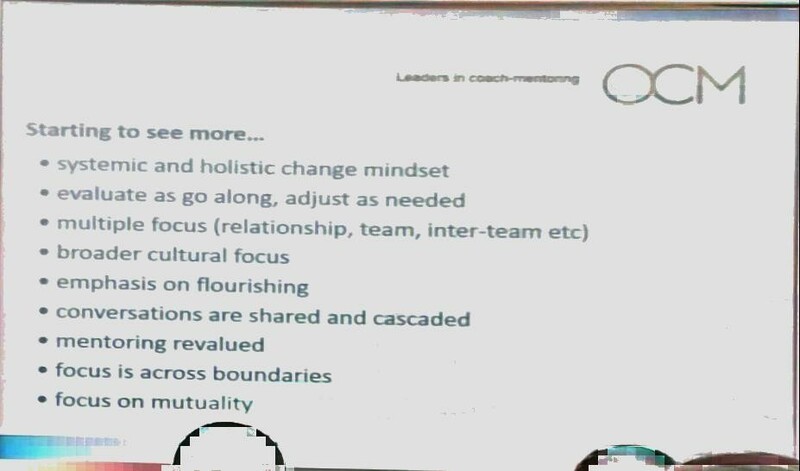 Perhaps it is a tendency for deliberation rather than action, the coaching session mentioning that attempts to lock coaching down have failed as needs continue to evolve, including trying to understand a world that is too complex. That said, from the show of hands of who had heard of VUCA in some of the sessions you suspect too many people are still not keeping their ears open for trends – attending a CIPD exhibition once a year is certainly not enough – and both CIPD and Towards Maturity were again stressing the need for L&D staff development to plug the skills gap. Is your coaching heading down the wrong path? 10.00 – How learning has changed, at the OU. Coming from a background in HE I’m always interested in what the OU is up to. This session considered developments at the OU (FutureLearn, iTunesU, Brainwave, OpenLearn, OUAnywhere) and argued L&D teams should be looking at similar for ways to scale [the counter argument presumably being that they’ve weakened their brand via multiple platforms and solutions]. Overall, there is increasing focus on breaking things down to short items allowing for “determine need in the morning and deploy in the afternoon” learning – and they are looking for more corporate accounts. Large scale use is partly enabled by predictive analytics [although the examples given weren’t much more than what Starfish was doing about 10 years ago]. 10.45 – Belbin for supporting innovation – what can we learn from start-ups? Some interesting research from Belbin on their profiling of start-ups and what it means for the rest of us. Basic argument was that it’s not enough to hire ‘plants’, you need to be able to implement too. In reality, over time, the organization needs a changing skill spread from the initial founders through to getting more practical – so you need a mix of Belbin roles [nothing new in the message but pitched a little different to normal at least]. L&D can learn from this in helping to attract, nurture and retain talent needed to form a great team (and encourage innovative cultures without job title snobbery). 11.30 – VUCA world: Argued to clearly focus on value in the world we now face and for what the individual learner needs, organizing out of chaos wont work. I would certainly agree with the three calls to action: develop self-directed learners (a learning org), ensure you master the fundamentals (get roadblocks out-of-the-way – including easy wins like meeting skills training) and develop digital skills. I also liked one point which certainly was timely – imagine if your organization was as wrong as the pre-election polls: that’s why we all need to be smarter, including developing appropriate analytics. 13.00 – Organizational Development. I recently had an interesting chat with someone around OD. They had OD in their job title (amongst other things) and I expressed my interested in OD being that it is a topic where you can not clearly draw the boundaries. The session I attended at the show considered the evolution of OD from just worrying about org charts to something more important, emotional not just rational. Personally, I have always struggled with OD as a concept in that, with social media and electronic communications, any structure (and certainly a hierarchy) really only has a primary use of ensuring clarity and responsibilities. Actual positioning within the organization, to me, should not really matter considering silos should be broken down if your culture encourages social media – the Towards Maturity skills report putting it as such for L&D professionals: “it doesn’t matter where you sit, alignment is king”. This power of a social culture is what I was suggesting in this tweet and the session considered that we are moving through forms of OD digital maturity (see image) – toward autonomy and thinking beyond traditional structures. L&D’s role is to foster a mindset where people will collaborate, be prepared to fail and be agile. 13.45 – L&D in a digital world. Started down the ‘workplace learning is a switch off as it’s not as good as what you can do at home for free’ line [I’m fine with this but it’s not down to quality but the feeling you actually want to do something]. VUCA was again brought in to argue we need to evolve quicker, digital is everywhere and L&D departments can be ignored if people wish. We need to think about digital in areas such as supporting communities of practice [and, yes, they actually encouraged people to get on Twitter]. CIPD explained that they have updated their qualifications and Home Learning College and other providers are delivering these via a better learning mix. 14.30 – author of Fire Free Workday. Some useful suggestions for being more productive. Rather nicely you could text to get a free PDF of the book. It was a nice reminder to believe in yourself and motivate yourself to get things done appropriately. The ’12 mins learning a day is 6 days worth’ is a useful message to take to business leaders [in my opinion]. 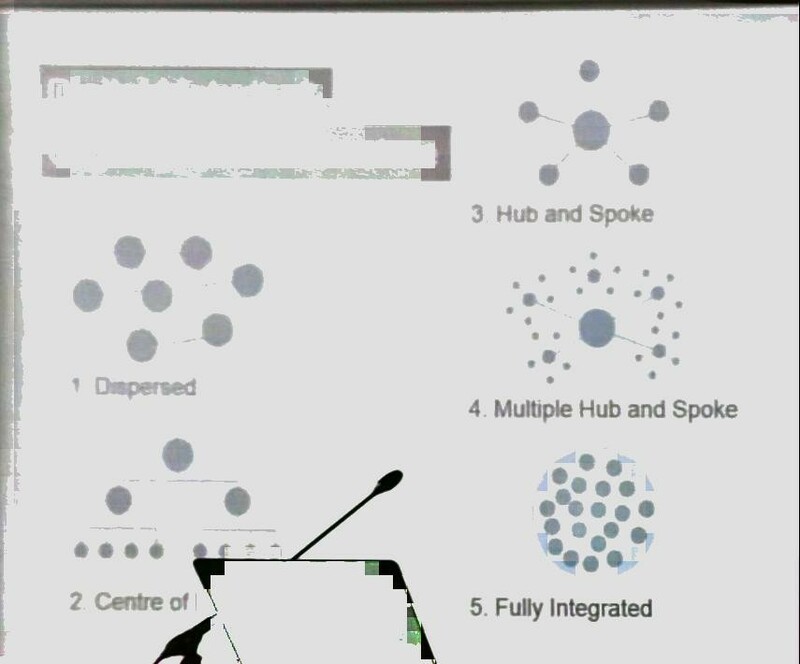 The coming together of intranet, LMS and other platforms in the shape of things like kokm – a model I’ve worked towards in the past and certainly would work for many orgs. SquaredOnline and Home Learning College, both from the Floream portfolio and both sounding like bringing high quality virtual experiences [not too dissimilar to what university students might be familiar with] into workplace learning. Anyway, useful to check in on what people in the L&D space are thinking even if (like me) you might go to these kinds of things too often to get full value. Vodeclic library acquired by Skillsoft. Further coming together of IBM and SAP in the HR space. Still not enough evaluation by L&D.